I literally just finished reading A Dance with Dragons, the 5th book in the A Song of Ice and Fire series by George R. R. Martin, and man, I have never wished that winter would come more quickly. I simply cannot wait for the next book to be released – I can’t even imagine being one of those that have followed this series since the beginning. Anyhow, because all I want to think about right now is Game of Thrones, I’ve decided to share some lessons that I learned while reading this series. There may be some mild spoilers here but I will try to keep it relatively vague. 1) Don’t be honourable. It’s not worth it. Ned and Robb Stark are the most prime examples of this. In order to come out ahead, you need to be ruthless, and they just aren’t that. Ser Barristan Selmy is another example. He lived his life holding honour in high regard, and still Joffrey did not hesitate to strip the white cloak from his shoulders. So, I guess take that with a grain of salt for real life… I mean, I do find that those willing to be ruthless can often come out ahead, but honour and loyalty can work for you as well. 2) Make a decision, and commit to it. 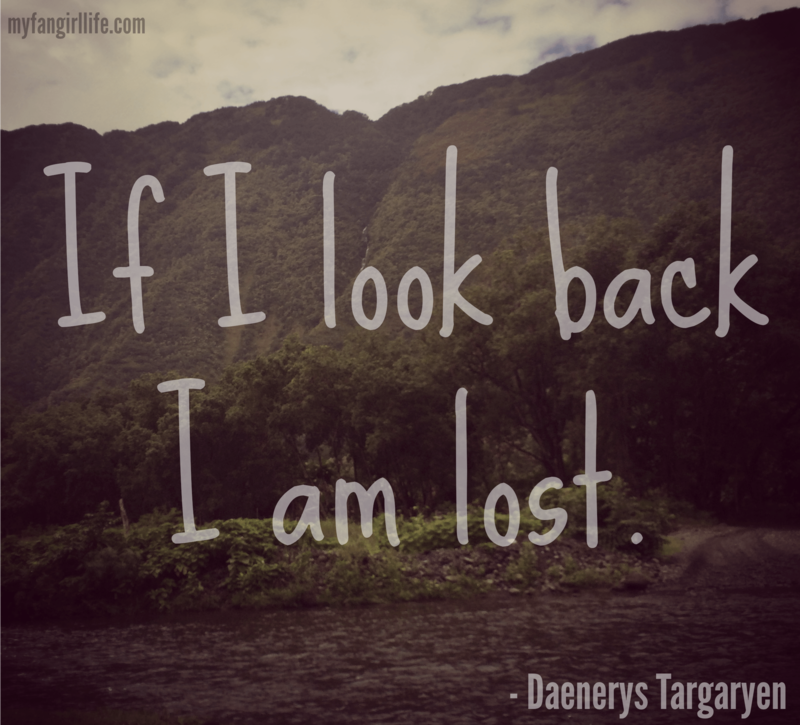 “If I look back I am lost,” Dany keeps telling herself throughout the 5th book at least, if not more. I have to admire this outlook. She’s making the best decision she possibly can and never wavering. She will never hesitate to continue following the path she has chosen, and I think that this is something that I personally need to take to heart in my life. 3) Never assume anyone’s safe. As someone reading Game of Thrones, you cannot assume that any character is safe. That being said, you can’t really assume anyone’s dead either. Perhaps that second part doesn’t really apply to the actual world, but I think he safety thing does. Danger is everywhere… so make sure you are always aware. This example is derived from Joffrey’s Royal Wedding, as well as the Red Wedding. I mean, this probably isn’t something that I need to worry about in my day to day life, but if I ever hear”The Rains of Castamere” at a wedding, I might think twice. 5) Remember that you always have something to learn. 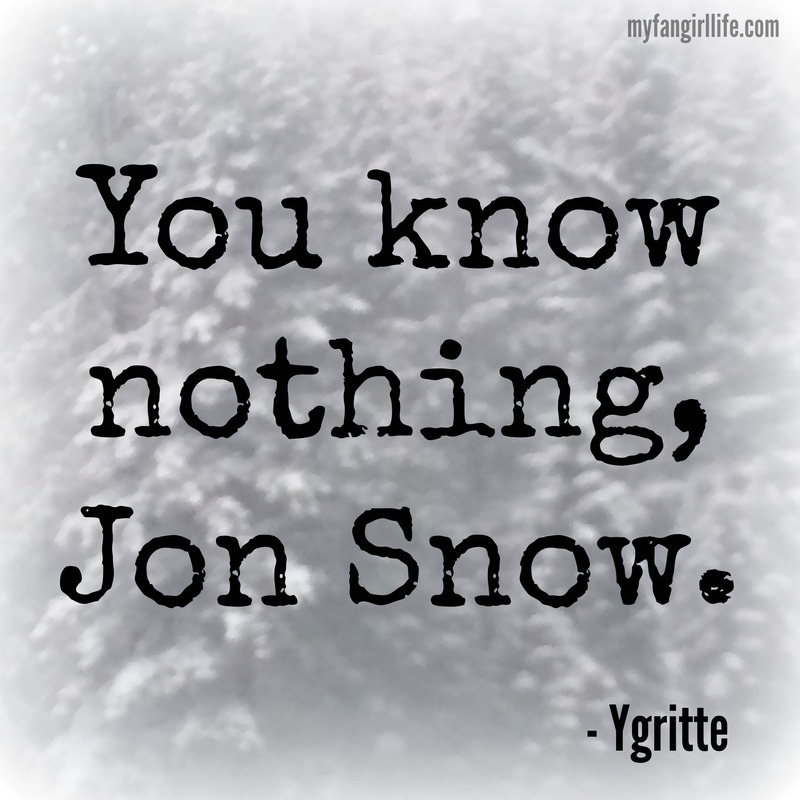 “You know nothing, Jon Snow,” Ygritte told him over and over. “You know nothing, Jon Snow,” he keeps telling himself through every decision he makes. He knows that he knows nothing, so he is always open to see another point of view, or possible solution. Actually, as writing this, I have been able to come up with more and more words of wisdom from these books, but these are certainly my favourites. What are yours?